Blend in or be seen in these comfortable camo shirts great for hunting, military pride or everyday wear. Need an option for Breast Cancer Awareness? 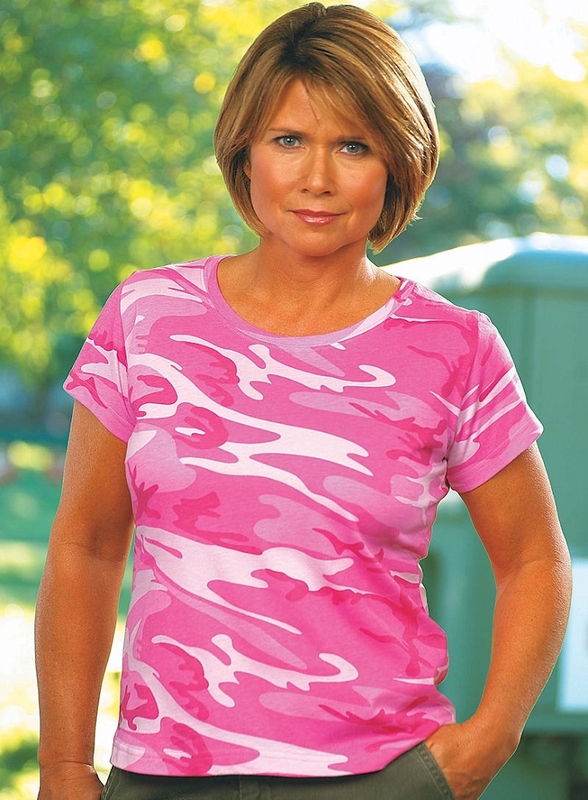 Try our pink camo tees for the entire family! Available in urban, pink and green classic woodland camouflage. 4.0 oz. 100% combed ringspun cotton print fine jersey. Topstitch ribbed collar. Taped neck. Double-needle hem sleeves and bottom. Urban Woodland and Urban Digital are sewn with 100% cotton thread. Bleed resistant ink is recommended when printing our camouflage products.